All about the Pipes Plumbing is proud to serve residential and commercial clients throughout the Matthews, NC, area. Whether you’ve got a single clog or need to have an entire home re-plumbed, our professional, licensed plumbers can help. Our extensive list of plumbing services is designed to handle virtually any need. If you do not see a service on our list that corresponds with your need, we can deliver a custom solution. Sewage and Water Supply: New construction must be connected to the sewage and water supply network. Whether you’re building a new home, designing a new subdivision, constructing a new business office or retail space, or something else, our licensed team can ensure a solid, reliable connection to sewer and water. High-Technology Systems: While gravity-fed systems are still used in some areas, many of our clients use high-technology systems, including electric water pumps, advanced water filtration systems and more. We’re happy to service and maintain your advanced system, or install a new one at your location. Plumbing Repair: Plumbing repair is one of the most frequently needed services we offer. Whether you have a single burst pipe, a damaged fixture, or something else, we can help. Drain Cleaning: Stubborn clogs, grease and debris build up, root penetration and other issues can cause slow or no draining. Our drain cleaning services alleviate those issues easily. Water Heaters: Need a new water heater installed, or an old one repaired? We replace, service, maintain and install new Water Heater throughout Matthews, NC. Tankless Water Heaters: A tankless water heater offers instant hot water and helps you reduce your power and water consumption, while taking up less space than a traditional unit. We offer custom sizing and professional installation. Sewer Cleaning: From pipe damage to roots invading drains, you may find that you need a wide range of Sewer Cleaning Service. Our professional plumbers can help. Eco Solution: Looking to use less water and electricity? Want purer drinking water? We offer a number of Eco Solutions that help you achieve those goals while reducing your carbon footprint. 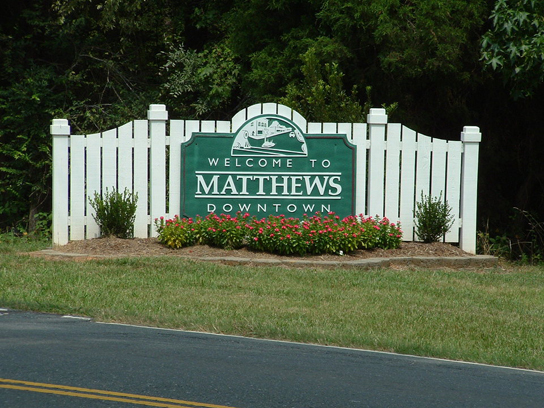 These are just a few of the services we can offer residential and business customers in Matthews, NC. We invite you to contact our office today at 704-559-5288 to learn more about our plumbing services and how we can solve your needs. From new construction to leaky pipes, All About the Pipes Plumbing has you covered.